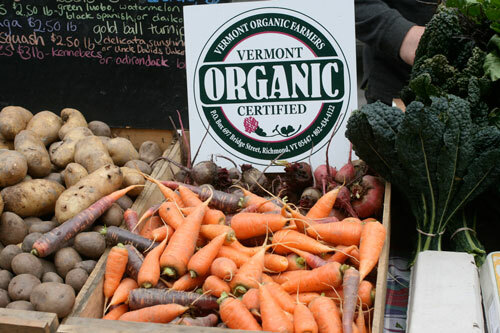 Organic farmers from around the region talk about the pleasures and perils of farming organically in the 21st century. Jamie Critelli of Floral Beauty Greenhouses sells potted plants and hydroponic vegetables and herbs at the 57th Street Greenmarket. He spent eight years in the Army and in 2012 earned a Veteran Farmer Fellowship to grow his business. Mike O’Dell is the youngest dairy farmer in Orange County, New York. 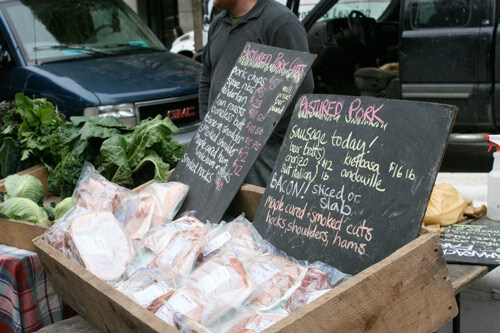 His Back to the Future Farm sells bottled milk, dairy soaps and other value added dairy products at Union Square. 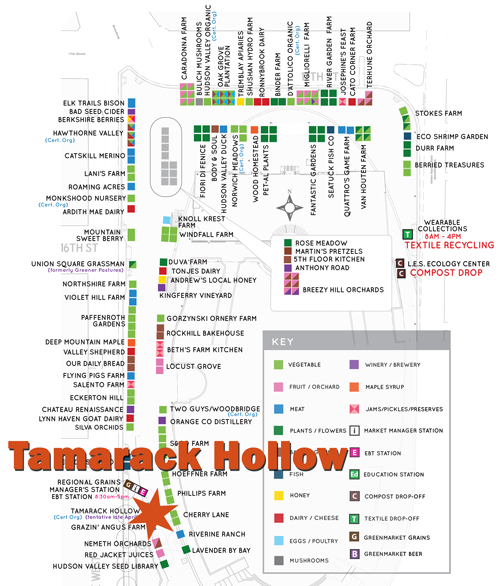 Amanda Andrews of Tamarack Hollow Farm in Vermont is an organic vegetable farmer who has been farming for about 4 years on her own. 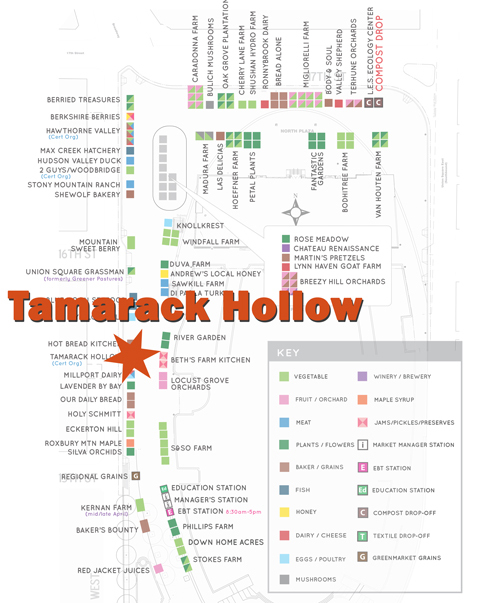 Tamarack Hollow Farm sells at Union Square Greenmarket. 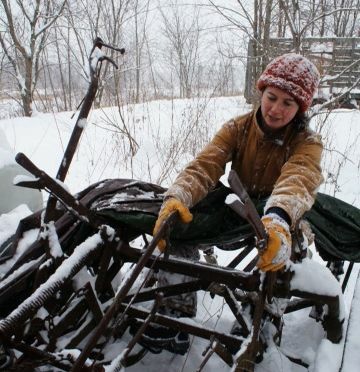 See/Hear the full story at http://www.wnyc.org/story/pleasures-and-perils-farming-life/. 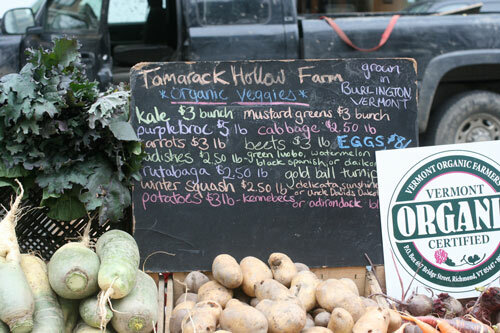 It’s now, around January and February, that daikon radishes begin to really sell, said Tamarack Hollow Farm’s farmer Amanda Andrews. 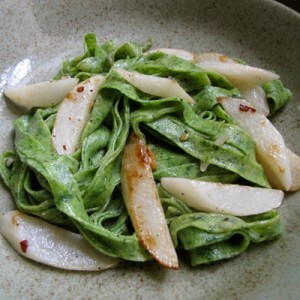 She drives down from Burlington, Vermont, every week to sell produce at the Union Square Farmers Market on Wednesdays, and says that only diehard daikon fans really buy them when they’re first harvested in September. At that point in the year, the long, white radishes are often overshadowed by spotlight-stealing fall produce like tomatoes, squash and berries. 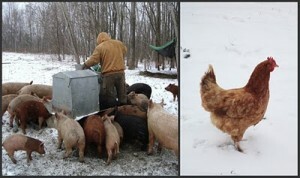 See the full story at http://www.wnyc.org/articles/last-chance-foods/2013/feb/01/last-chance-f…. 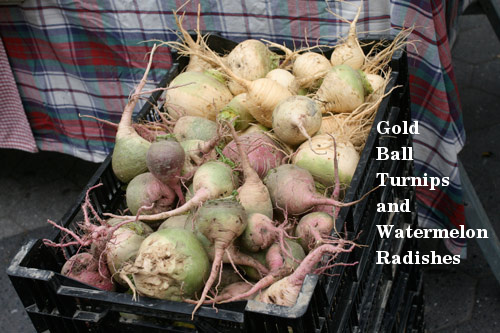 Go Radishes! 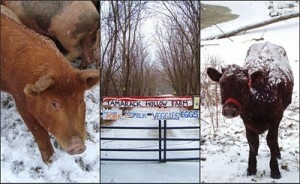 Check out Candace Page’s great story on the farm in the Free Press. On a cool May afternoon, the scene at Tamarack Hollow Farm had all the gloss of an urban daydream: While cars whizzed by on the Burlington Beltline, farmers Mike Betit and Amanda Andrews herded four skittish Belted Galloway beef cows toward an enclosure to be checked for pregnancy by the waiting veterinarian. The cows mooed. Seventy pigs squealed in a nearby paddock. One-hundred-and-fifty laying hens squawked and pecked behind their fence. Thunder and Lightning, the farm’s oxen, bellowed from time to time, the sound reverberating toward the homes of a New North End neighborhood just across the highway. The mucky farm road led to fields ready for planting, their dark dirt as rich as chocolate.